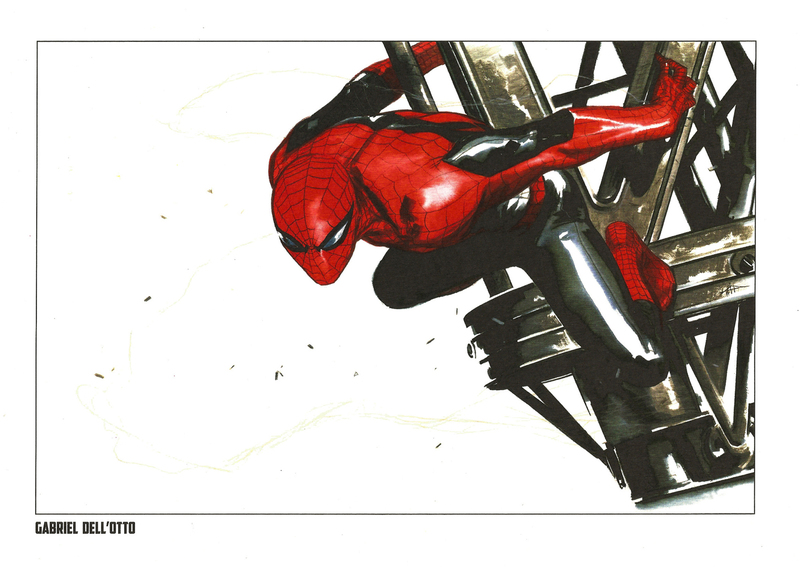 Spider-Man Steel Gallery Portfolio (2014) | 'TAIN'T THE MEAT… IT'S THE HUMANITY! 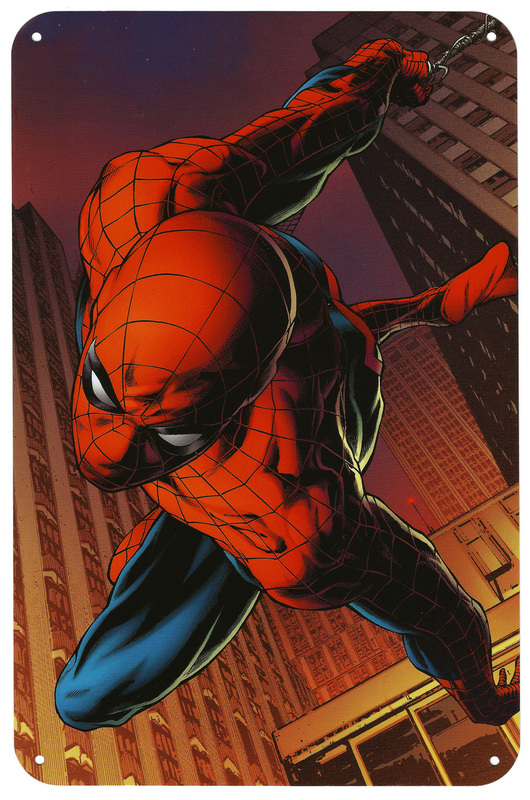 The Spider-Man Steel Gallery Portfolio contains ten full-colour reprints featuring Marvel Comics’ biggest star, drawn by some of the industry’s biggest talents. The back cover of the tin. Released by Paris-based publisher Semic in 2014 this set collects nine 210 x 297mm plates printed on thick watercolour stock and one printed on tin that measures 170 x 260mm. 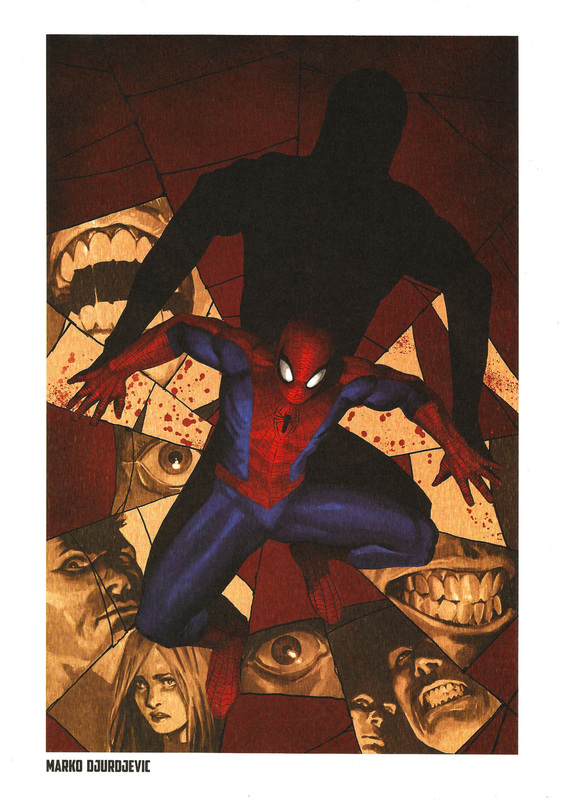 The portfolio reprints Marvel comic covers featuring The Amazing Spider-Man as interpreted by ten celebrated artists: Joe Quesada (whose work appears on the tin plate); Simone Bianchi; Chris Bachalo; Julian Tedesco; Paolo Rivera; Gabriel Dell’Otto; Michael Lark; J. Scott Campbell; Marko Djurdjevic and Pascal Ferry. 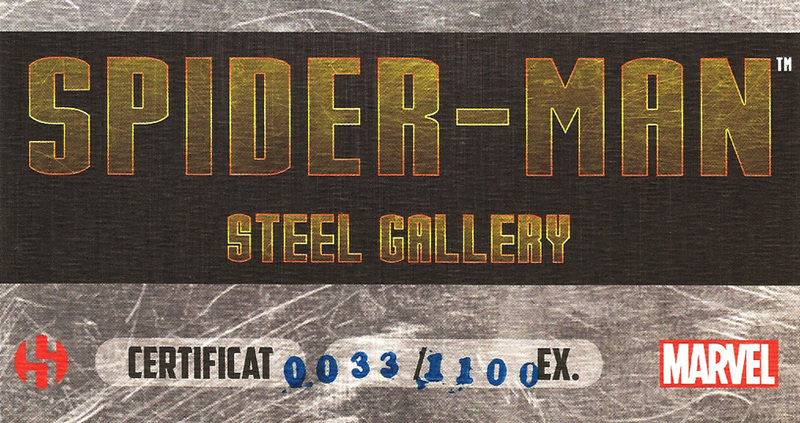 The Spider-Man Steel Gallery Portfolio ships in a sturdy 220 x 310mm tin that features embossing around the image on the cover, which is a nice touch. 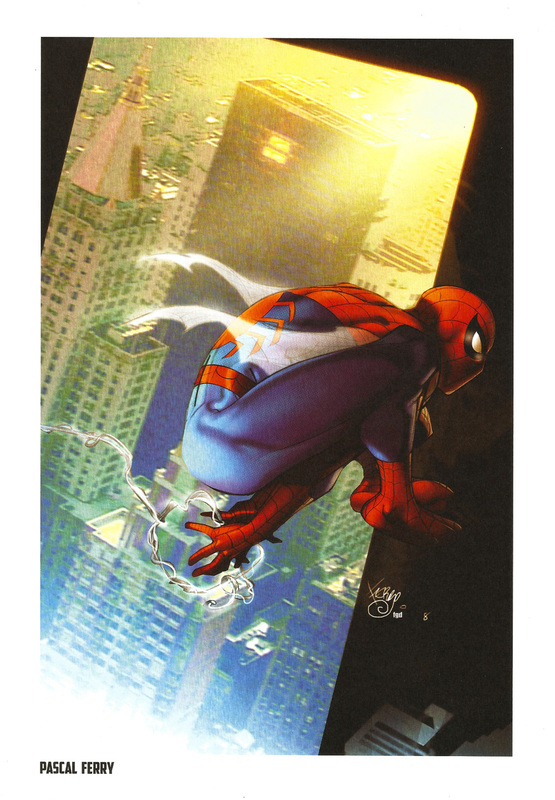 The portfolio is limited to 1,110 editions (this set is number #33) and also includes a small certificate of authenticity. 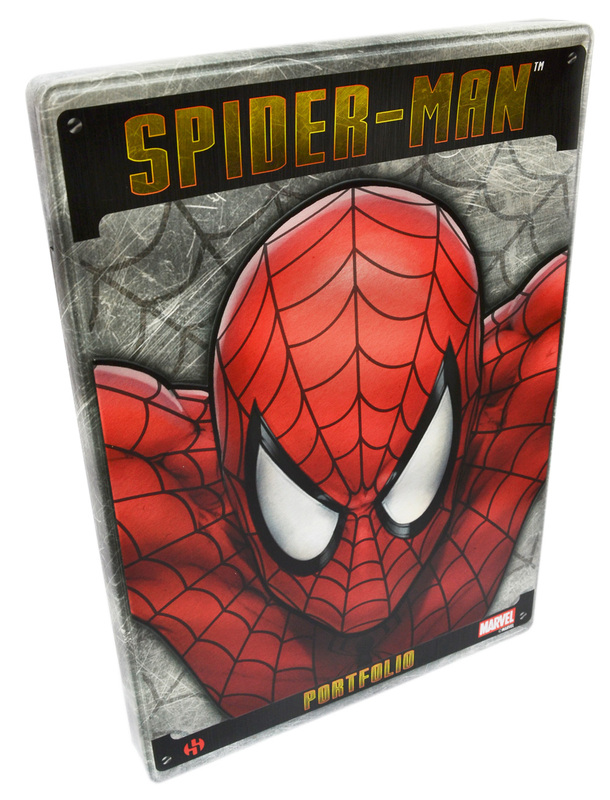 The portfolio retails for €25 (around £18) and currently appears to be only available in Europe. Copies are available from various online outlets as well as Semic’s own website. 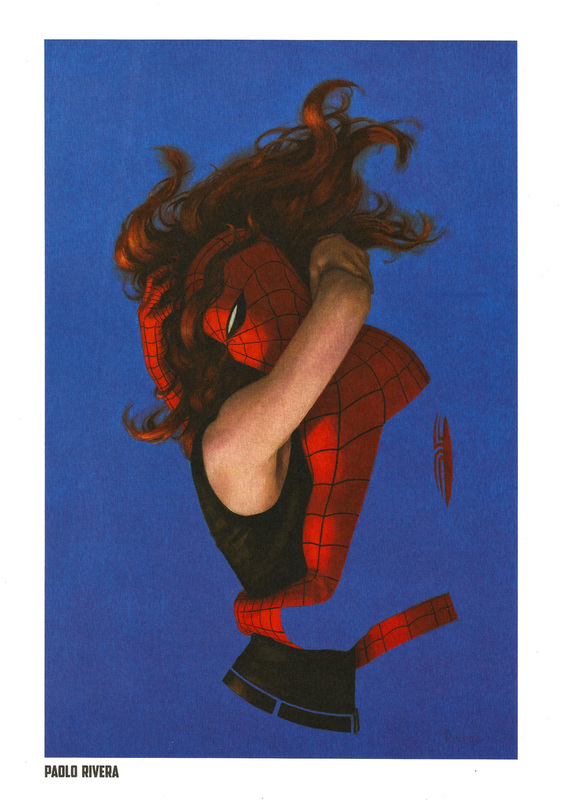 Although some decent work is reprinted here (Paolo Rivera and J. Scott Campbell, for example) this portfolio is easily the weakest of the three Steel Gallerys that I’ve reviewed. 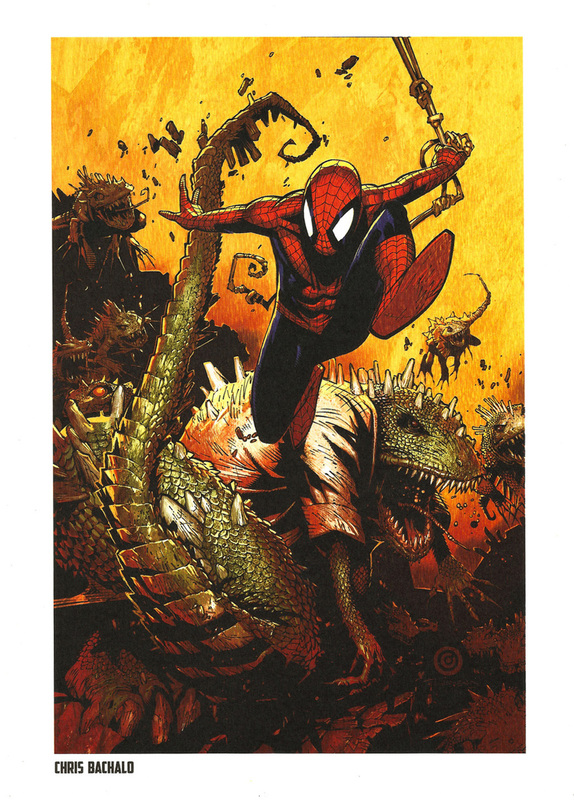 The artwork is a little too generic for my taste and few of the images really jump out – and what the hell’s up with Pascal Ferry’s scooting Spidey anyway? 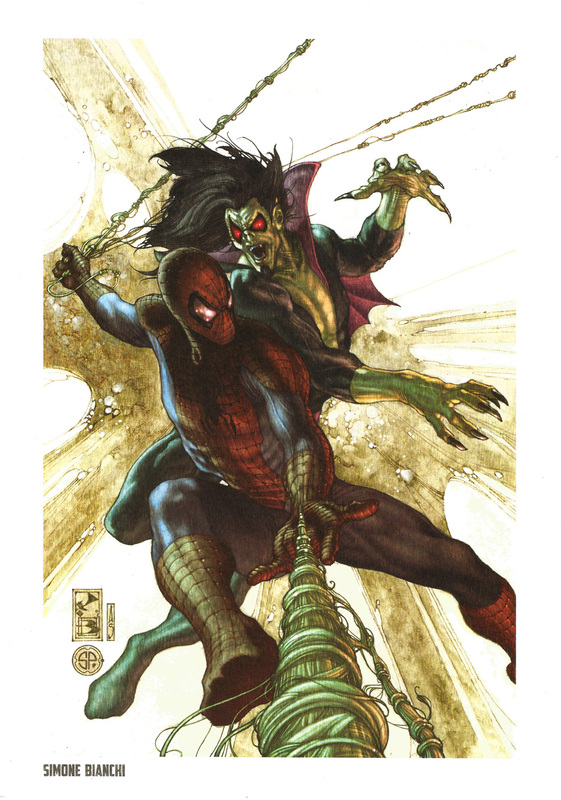 I’d have much preferred to see work by some of the more notable Spidey artists, such as Steve Ditko, Ross Andru, Todd McFarlane or Marcos Martin. 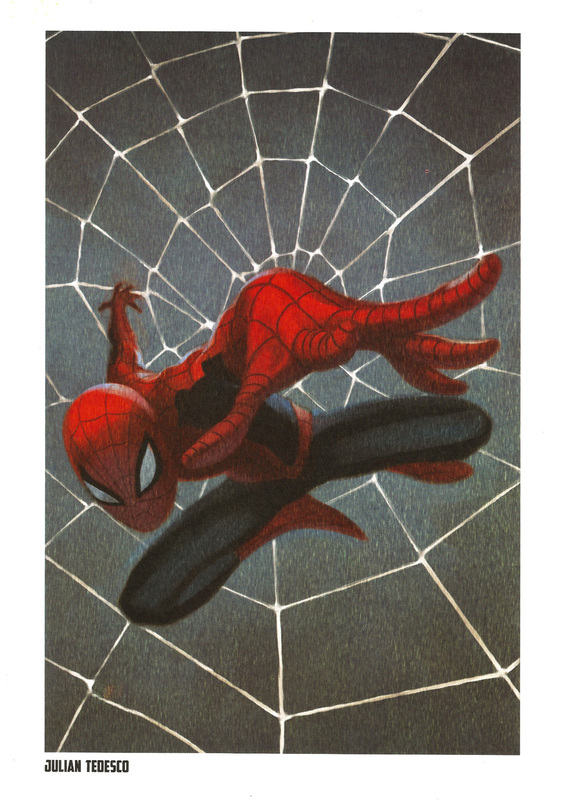 And any Spider-Man portfolio that doesn’t feature either of the Romita’s (John, Sr or John, Jr) is sadly remiss. 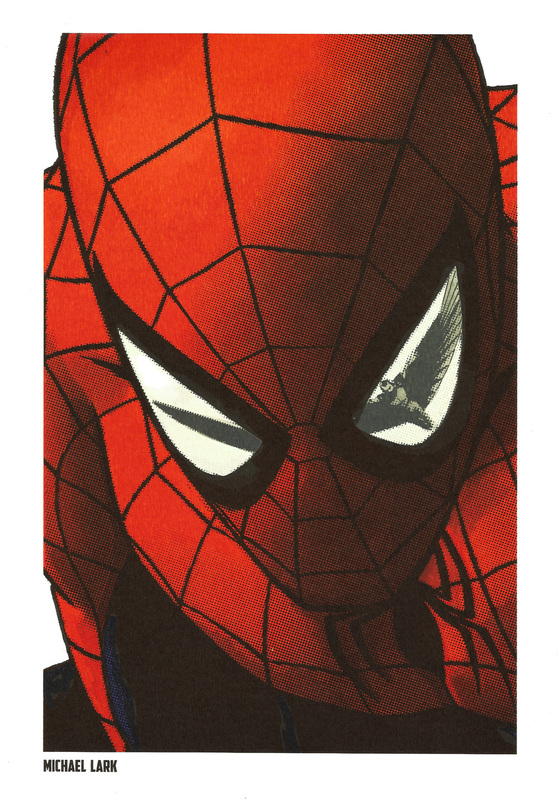 That aside, the quality of the prints is very high thanks to the superior watercolour stock, and shipping the Spider-Man Steel Gallery Portfolio in a sturdy tin was an great idea. This isn’t a terrible collection, but it’s far from being a great one either. 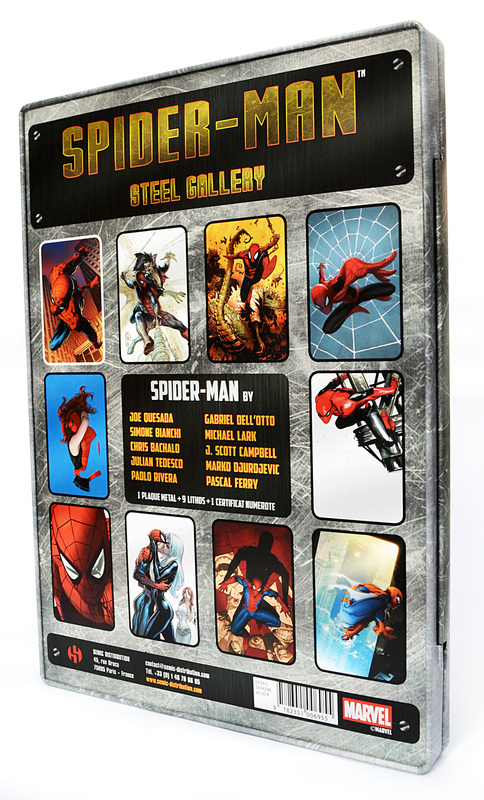 Semic have released five portfolio sets in this Steel Gallery series; I’ve already reviewed the X-Men and Avengers portfolios and I’ll be reviewing the last two – Iron Man, and Wolverine – over the next week or so.